Adrian Campos facing shoplifting and trespassing charges. 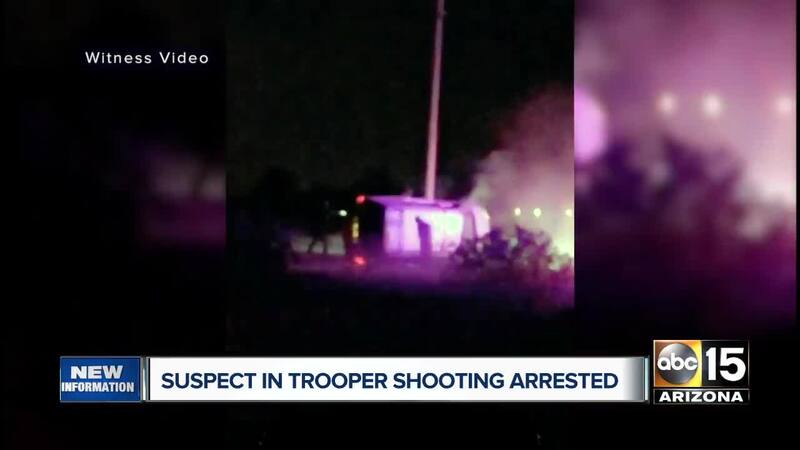 BUCKEYE, AZ — A second suspect is in custody after a fatal trooper-involved shooting in the West Valley earlier this month. Adrian Carlos Campos, age 40, was taken into custody last week, according to DPS. Officials say a trooper was trying to pull over a Chrysler minivan heading north on Jackrabbit Trail for speeding, but when the driver failed to stop, a brief pursuit followed. The vehicle flipped near Jackrabbit Trail and Lewis Avenue and two suspects got out. One of the suspects, 40-year-old Jose German, pulled out a gun and fired at the trooper, who returned fire and struck German, police said. Authorities say German died after the exchange of gunfire, and the second suspect, Campos, fled into the desert. DPS Captain Jesse Galvez said the trooper involved in the shooting had minor injuries but did not require hospitalization. According to DPS, German has a history of arrests including an active felony warrant for failure to appear for sentencing due to drug-related charges and a misdemeanor warrant for driving while suspended. Campos was booked into jail for shoplifting and criminal trespassing. Authorities say this is an ongoing investigation.